After a string of teasing stills, the R-rated trailer for Deadpool has been released, first to an ecstatic reception at San Diego's Comic-Con, and now online. The trailer for what, now? Deadpool, the newest Marvel superhero movie, starring Ryan Reynolds, Morena Baccarin (Firefly, Homeland) and TJ Miller (Silicon Valley). So you're telling us that Marvel have made another movie out of a comic we've never heard of? Yes, but bear in mind that the last time they did that, the result was Guardians of the Galaxy. True. So, who's this Deadpool? The other notable thing about Deadpool, which sets him apart from such po-faced characters as certain recent takes on Superman and the Fantastic Four, is that he knows he's in a comic. When Deadpool was once confronted by an enemy he couldn't remember, he looked up the back issues to remind himself who the guy was. This bend-it-and-see attitude to the fourth wall is what the character is all about: in one promo interview for the film, host Mario Lopez attempts to persuade Reynolds that it's in everyone's interest for the filmmakers to tone the movie down to a PG-13 rating, only for Deadpool to saunter into the frame and whack Lopez over the head with a studio light. Ryan Reynolds, you say? Famous for never quite finding the right role? Deadpool, with its R-rating and its in-built tendency towards outrageous dark comedy, is hardly likely to make Reynolds a family-friendly star, but the success of Joss Whedon's Marvel films shows that every good superhero movie needs a sense of fun – and Deadpool's reaction in the trailer to pulling off a mid-air three-person headshot is gleefully on the money. Perhaps Reynolds is at last having his moment. 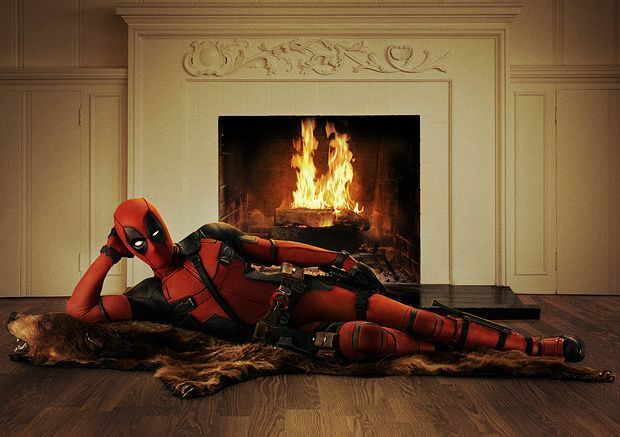 Deadpool is released in the UK on Mon 1 Feb 2016.